Founded back in 1991, the Tambopata Eco Lodge is one of the most established eco-tourism lodges on the banks of the Tambopata River. 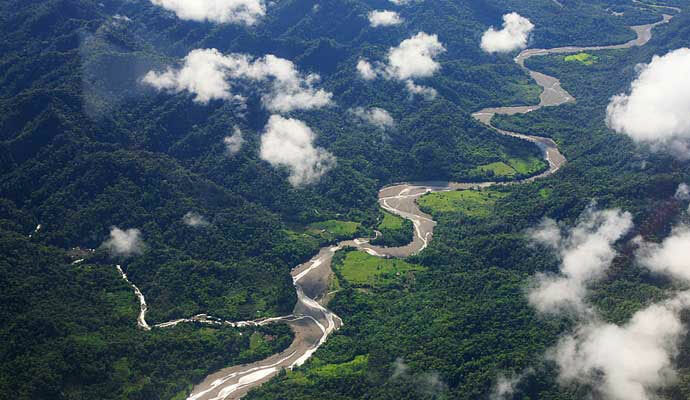 There are now a total of nine rainforest lodges in the Puerto Maldonado area, reinforcing the status of the region as one of the major rainforest eco-tourism destinations in South America. The lodge employs around twenty Peruvian staff, the majority of whom are resident in Puerto Maldonado. In addition, there are a number of naturalist guides, both from Peru and abroad, who are at your service throughout your stay. As well as guiding and introducing visitors to the many marvels of the forest, a number are undertaking research projects, thereby contributing to a greater ecological understanding of the area.